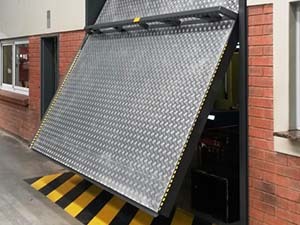 Stab-A-Load introduced the latest technology in industrial door solutions to their wide range of door solutions, with the new Hydro-Tilt hydraulic door which is revolutionizing the “large door” industry in the following applications. 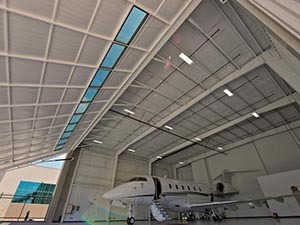 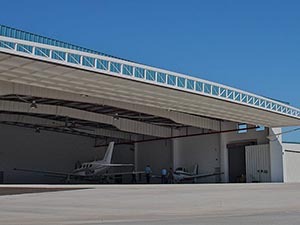 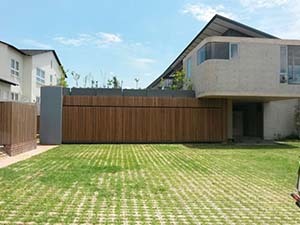 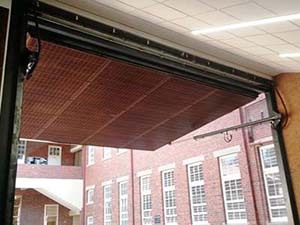 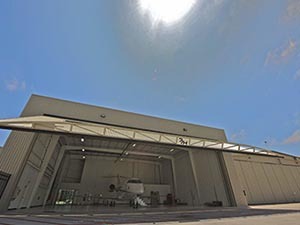 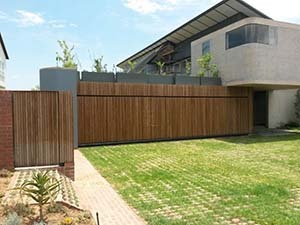 The Hydro-Tilt door is a single panel hydraulic door system that becomes a wall in the closed position and forms a natural canopy in the open position. 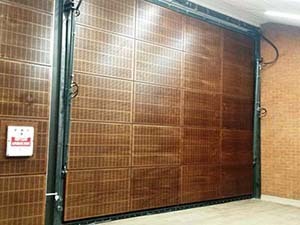 These doors can be supplied for opening widths of up to 45 meters and heights up to 25 meters in one single panel. 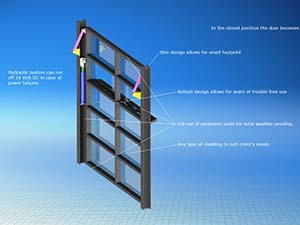 The Hydro-Tilt door is designed not to impose any horizontal or vertical loads to the building structure as it makes use of its own free standing, self supporting structure.This allows retrofitting to existing buildings without costly structure strengthening. 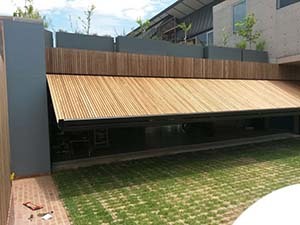 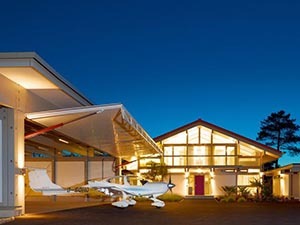 The door is pre-manufactured and assembled on site by bolting together individual panels to form one large door.The Hydro-Tilt door frame design allows for any type of cladding irrespective of type and weight, to integrate seamlessly with the building exterior. 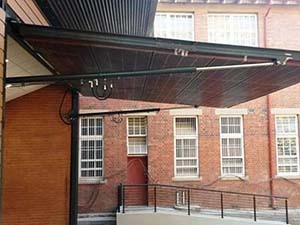 The frame design also factors in building curvature to fully seal against the fixing structure and provide maximum clear opening dimensions. 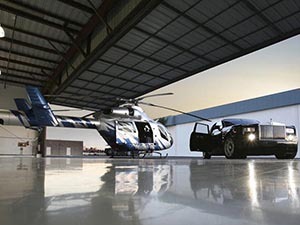 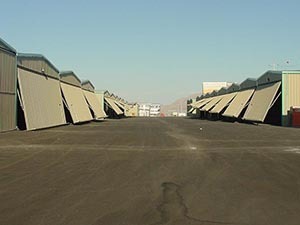 The doors are fully weather and dust proof to keep your most valued assets safe and protected from the elements. 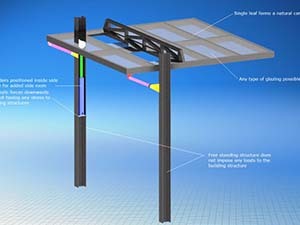 The hydraulic cylinders are mounted inside the side columns for added side clearance. 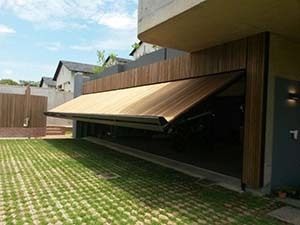 The design requires minimal headroom clearances. 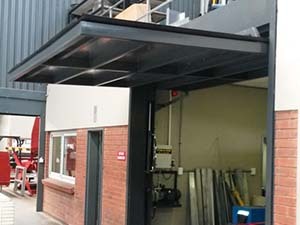 The hydraulic operation provides a smoother and faster operation than traditional sliding doors and are much safer to use due to integrated safety systems. 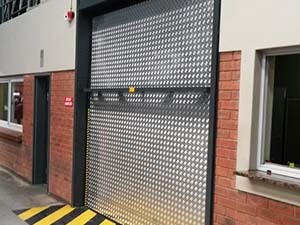 Safety system includes integral rupture valves to prevent free fall, hydraulic valves to keep the door open even in the event of power failure, light curtain censors in the opening aperture, audible and visible alarm, controlled speeds, constant pressure controls and CCTV as optional. 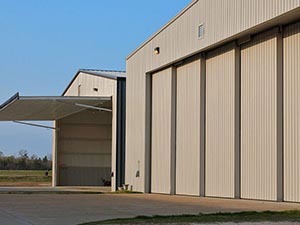 The Hydro-Tilt door has a low maintenance and service costs coupled with a full life cycle of the building. 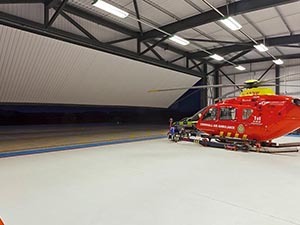 These doors can withstand wind speeds of up to 120 Km/H in the closed position and 90 Km/H in the open position which makes it the prime selection for larger openings. 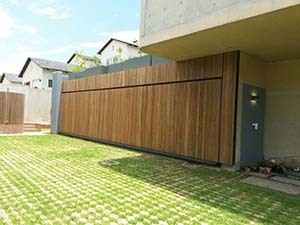 Opening commands for the door include push button controls, remote control, induction loops and can even be integrated with biometrics for added security.